The Department of Mineral Resources (DMR) and the Department of Environmental Affairs (DEA) each made presentations to the Committee on the impact of mining and prospecting activities in ecologically sensitive habitats such as grasslands, wetlands and watersheds, in the coal mining regions of South Africa. The DMR outlined where sensitive habitats were located and where coal mining was currently taking place, and set out the legislative requirements for and the process whereby mining permit applications were processed. These included requirements for public notice and comment, consultation, submission of environmental management plans, consultation with other departments and consideration of objections. In Mpumalanga, 220 mining and prospecting rights applications had been received that related to protected areas, of which 54 were rejected, 26 were accepted, 66 were refused, 57 had lapsed and 7 were currently pending. Of those accepted, only 12 rights had been granted and eight had been issued. It was noted that an Interdepartmental Project Implementation Committee (IPIC), consisting of six task teams, had been established in terms of the National Environmental Management Act (NEMA). It was meeting specifically to discuss issues of shale gas exploration, and had recently finalised a spatial data set on protected areas so that the DMR could prevent exploration in those areas. The DEA confirmed that whilst mining companies played a critical role in contributing to the GDP and creating jobs, the richness of mineral wealth was on a par with rich biodiversity and ecosystems in the country and a balance had to be found between promoting development and protecting the environment. There were concerns about the effects of open-cast mining, and this posed a particular threat to the grasslands, which covered about 30% of South Africa's land surface, but which had been significantly modified or were under threat, specifically from coal-mining. It was explained that section 48 of the Protected Areas Act prohibited mining in some areas whereas restrictions were placed in others. By 2020, 17% of the country should be declared as protected areas, compared to the 10.7% currently. Mining and Biodiversity guidelines were approved by the two ministers in the previous year and had helped to harmonise planning. DEA was finalising the Wetland Offset Guidelines. The impact of mining on water systems also had to be considered and mitigated. Mining licenses, with conditions had been granted in parts of Mpumalanga, east of the Mapungubwe National Park, as a test case. The DEA also specificallty touched upon shale gas exploration, which had to be authorised in terms of the Protected Areas Act. It was fully intended that the One Environment system regulations would be implemented from 8 December 2014, and thereafter all exploration activities, including shale gas exploration, would thereafter be subject to this Act's Environmental Authorisation requirements. DEA was working with the Department of Water and Sanitation and the provinces affected by shale gas exploration, on planning and management interventions. Members expressed concern that the Department of Mineral Resources had not yet sufficiently briefed it on the issue of shale gas exploration, as requested in a previous meeting, and asked for more oral and written information. They asked how the One Environment system would work, and how the plans to implement it would be affected if the President had not assented to the Minerals and Petroleum Resources Development Amendment Act (which set the basis for that system) by 8 December. DMR maintained that it was ready for the new system but DEA conceded that there was work still to be done. Members also asked for details of what DMR was doing to assist ex-miners suffering from mining-related illnesses, whether there were interventions for communities in surrounding areas, raised concerns as to the effect of mining on agriculture, and whether the Committee had received the full picture, and mentioned the difficulty of competing sectors in the same space and how South Africa balanced its commitments under the Kyoto Protocol with continuation or enhancement of mining and job creation, and how many Mineral Resource inspectors would be appointed. The Committee asked for an indication of the future of coal, and whether waste water disposal in the fracking context would be covered by regulations. Overall, a complete written update was needed on shale gas in addition to brief remarks at the meeting. The Department of Environmental Affairs briefed the Committee on the DOHA amendments to the Kyoto Protocol to the UN Framework Convention on Climate Change. The background was explained; this amendment was essentially a continuation of the obligations on developed countries to reduce greenhouse gases in the period from 2013 to 2020, and an agreement to negotiate a future legal system beyond 2020. South Africa was regarded as a developing country, but it was nonetheless in its interests, particularly given the extreme climate changes in Africa, to promote a robust and rule-based regime to address the global climate change challenge, and the legal agreement in 2015 would apply to developed and developing countries. Members agreed to recommend ratification of the DOHA amendments to the NCOP. The Committee finally adopted minutes of 17 November and its oversight visit reports. The Committee Secretary apologised for the absence of the Chairperson, Mr O Sefako (ANC) and Mr M Rayi (ANC) was elected as the Acting Chairperson for the session. He took the Chair and extended wishes to Mr Sefako for a speedy recovery. 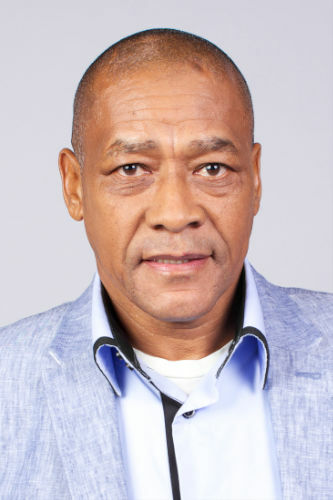 The Acting Chairperson then tendered apologies from the Minister and Deputy Minister of Environmental Affairs, as well as the Minister, Deputy Minister of Mineral Resources and the Director General of the Department of Mineral Resources (DMR). Apologies were also given on behalf of Committee Members Mr J Parkies (ANC), Mr C Smit (DA) and Mr M Matebus (EFF). Mr Joel Raphela, Acting Director General, Department of Mineral Resources, set out the legal framework for the protection of protected ecological areas, which included sections 10, 48, 49 and 96 of the Mineral and Petroleum Resources Development Act 28 of 2002 (MPRDA). Section 49 provided that the Minister had the power to prohibit or restrict prospecting or mining. He discussed the list of sensitive habitats where coal mining was currently taking place in each province. These included natural forests in Kwa-Zulu Natal, areas along the Vaal river in Gauteng and the Free State, several wetland and protected areas in Mpumalanga, and culturally significant areas in Limpopo. He discussed the process followed when processing applications in terms of the MPRDA, including requirements for public notice and comment, consultation with interested and affected parties, submission of an Environmental Management Plan or Programme (EMP), consultation with State departments and consideration of objections. In Mpumalanga, a total of 220 mining and prospecting rights applications had been received that related to protected areas, . Of these, 54 were rejected, 26 were accepted, 66 were refused, 57 had lapsed and 7 were currently pending. Of those accepted, only 12 rights had been granted and eight had been issued. Turning to the governance mechanisms that existed between the Department of Mineral Resources (DMR) and the Department of Environmental Affairs (DEA), Mr Raphela referred to the new system developed and implemented in terms of the National Environmental Management Act (NEMA). This system included the establishment of a committee comprised of members of the Departments of Mineral Resources, Water Affairs and Environmental Affairs, which formed the Interdepartmental Project Implementation Committee (IPIC). This Committee consisted of six task teams, including the key Joint Planning Task Team, which had the responsibility of coordinating government intentions to declare areas as environmentally sensitive, restricting mining in sensitive areas, attending World Heritage Committee meetings, developing the Mining and Biodiversity guidelines on mining and exchanging data. In the past three weeks, the Department of Environmental Affairs had finalised a spatial data set of protected areas and shared it with the Department of Mineral Resources, which would now use this data to prevent lodgement of applications in protected areas. Mr Raphela then turned specifically to shale gas exploration, and said that an Inter-Ministerial Committee meeting had been arranged where specific shale gas issues would be discussed, and this Committee would then be briefed on the outcomes. He reassured the Committee that the Department of Mineral Resources was committed to implementing the One Environment System on 8 December 2014. Ms Skumsa Mancotywa, Acting Deputy Director General: Biodiversity and Conservation, Department of Environmental Affairs, confirmed that the mining companies in South Africa played a critical role in the economy, including job creation and the contribution to GDP. However, she noted that the mineral wealth of the country was about on par with a rich endowment of biodiversity and ecosystems. The main challenge was therefore balancing the interests of conservation and development. Each of the departments and sectors had different goals and mandates and both were respected by the Constitution. However, in reality, open cast mining had significantly impacted on biodiversity, in direct and indirect ways, as encountered by the Department of Environmental Affairs, as well as off-site impacts. The grasslands covered 30% of the country's land surface area and were a critical component of the country's biodiversity, and were thus of global significance. However, 40% of the grasslands' biome had been irreversibly modified and 60% of the remaining grasslands were threatened. There were quite a number of minerals being prospected and mined in the grasslands biome, particularly coal. The Departments of Mineral Resources and Environmental Affairs had been working together with other stakeholders, through the Mining and Biodiversity Forum, to address this. She tabled a map indicating the grasslands biome and the biodiversity priority areas, including those where mining was prohibited in terms of section 48 of the Protected Areas Act, areas of high biodiversity importance and moderate biodiversity importance. Currently, about 10.67% of the country had been designated as protected areas, and in terms of internationally agreed targets, the country should be at 17% designation of protected areas by 2020. In terms of the Department's cooperation with the Department of Mineral Resources, a best practices guideline had been compiled - the Mining and Biodoversity Guidelines - and these were approved by the two Ministers last year and had been helpful in harmonising planning. The DEA was also working on finalising the Wetland Offset Guidelines. Ms Mancotywa stressed that the impacts of mining on water systems also had to be mitigated. She presented maps indicating the national wetlands and Freshwater Ecosystem Priority Areas (FEPAs), which the two Departments considered when agreeing on which areas need to be protected and which areas could sustain mining activities. The percentages of the areas of FEPAs, Strategic Water Resource Areas, wetlands and grasslands that had currently been allocated mining or prospecting rights were set out (see attached presentation for full details). The highest number of mining and prospecting rights had been issued in Mpumalanga. The only biodiversity conservation areas where no mining was allowed were in protected areas set aside for conservation in terms of the Protected Areas Act. These areas were usually proclaimed as special nature reserves, national parks, marine protected areas, nature reserves, and similar. The more flexible category was that of "protected environment", where mining may not be conducted without the written permission of the Minister of Environmental Affairs. The Department had worked tirelessly with regard to the granting of mining licenses in an area 70 km east of the Mapungubwe National Park. The Department had undertaken impact assessments and it had been established that only indirect impacts would occur following mining. A reduced buffer zone had been approved for this area, along with agreed conditions of mining. The Department considered this a test case. Mr Alf Wills, Deputy Director General: Environmental Advisory Services, Department of Environmental Affairs, gave the presentation on shale gas exploration. He reiterated that, in terms of sections 48 and 49 of the National Environmental Management Protected Areas Act (NEMPA), mining and related activities in protected areas were prohibited. In addition, mining activities had been included in listed activities in the Environmental Impact Assessment (EIA) regulations. He said that shale gas exploration applications were subject to authorisation in terms of NEMPA, which required an assessment to identify the expected environmental impacts and proposed mitigation measures. He said that the One Environment System's regulations would be implemented from 8 December 2014. All exploration activities, including shale gas exploration activities, would thereafter be subject to the NEMPA's Environmental Authorisation requirements. Together with the Department of Water and Sanitation and the provinces affected by shale gas exploration, the Department of Environmental Affairs was initiating a strategic environmental assessment, which in essence was a planning intervention. It provided an information base for planning and decision making which aimed to identify areas that would be sensitive to shale gas exploration, and then to set up applicable management measures in such areas. The presentation included a map which indicated shale gas exploration areas that had been identified thus far (see attached presentation). Ms Mancotywa said that there were several protected areas that were potentially prone to impact from shale gas exploration, including the Kalahari, the Golden Gate National Park, and a number of protected areas across the Western Cape and Eastern Cape. Mr Wills said that part of the strategic environmental assessment involved taking all layers of information, including sensitivities of each area, in order to formulate the management measures that the Department would recommend, but that this work was ongoing. The Chairperson reminded the Department that it was expected to provide written responses to the questions and that there would possibly be follow-up questions. Written responses were expected by Friday 5 December. He further reminded the Committee that In the last meeting when the DMR had been making presentations, the Committee had indicated that it expected an update on the issue of shale gas from that Department. However, the Department had not received such an update, except for being informed that an Inter-Ministerial Committee had been established, and this response was not satisfactory. He asked the presenters, when responding to questions, to address the issue of shale gas in particular. Mr A Singh (ANC, KwaZulu Natal) asked about the public notice and comment procedure outlined by the Department of Mineral Resources and whether the Committee could be briefed on the comments and objections raised by the community in this consultation. Mr Singh also wanted to know how many applications there had been for shale gas permits and the progress in that regard. He referred to a media report he had received regarding the mining of shale gas and mining companies leaving sites after the completion of their work, with emissions in the atmosphere, and he asked whether there had been any research done in that regard. Finally, he asked about the companies from other countries interested in shale gas exploration, and whether they were forming partnerships with local companies so as to adhere to labour laws in South Africa. Ms E Prins (ANC, Western Cape) wanted to know why applications for permits had been rejected and whether it was mostly small scale miners whose applications were rejected. She also asked whether the Department had any programmes aimed at helping small scale miners to grow in the mining sector. Finally, she asked whether the Department had done any research on whether there were any projects assisting the communities around areas where mining was taking place, and how they would benefit. Ms C Labuschagne (DA, Western Cape) said that the Committee had only been given a small indication, and not the bigger picture, which was worrying. The presentations seemed to indicate that the grasslands were the least protected ecosystems at the moment. Although it was prescribed that rehabilitation should take place, the quality of agriculture in mining areas, even after rehabilitation, was reduced. She said that in 2006, the South African National Biodiversity Institute (SANBI) had raised a concern about coal mining, not so much in relation to the bigger companies but the smaller ones, and the methods of mining they were using. The grasslands in the Enkangala area in particular were in serious trouble, because 25% of that area was targeted by mining companies for prospecting rights. Ms Labuschagne also said that the One Environment approach raised some concerns, and environment and mining sectors seemed to be fighting for the same space. On top of that, there was the Kyoto Protocol, in terms of which South Africa had agreed to decrease its dependence on fossil fuel use. At the same time, this Committee was looking at coal mining in sensitive areas, and this did not appear to make sense. She asked what guidelines and policies were in place, apart from the legislative framework that would be implemented on 8 December, and how the competing priorities would be weighed by the Minister of Mineral Resources. Ms Labuschagne wanted an indication, from both Departments, for both the short and medium term, of the financial benefits of further expansion of coal mining, specifically into protected and sensitive areas, and an indication of whether there would be job losses or growth in either sector. It was well known that the economy needed to grow and jobs needed to be created. Ms Labuschagne wanted to hear, from the Department of Mineral Resources, about the future of coal, including what was needed in the country, whether there was a need for further exploration, and she asked that any answers be linked in to what was required of South Africa by its accession to the Kyoto Protocol. She wanted to know the arrangements that had been made by the Department of Mineral Resources to move from the previous system to the One Environment system. She wanted to know if Mineral Resource Inspectors had already been appointed and how they would be trained. She wanted to know about waste water disposal in the context of fracking, as the regulations did not mention this, and whether the Department was intending to create unified regulations in this area. Ms Prins also wanted to know how many Mineral Resource Inspectors would be appointed and what kind of training they would receive by 8 December. Mr L Gaehler (UDM, Eastern Cape) wanted to know how many applications for shale gas there had been in the Eastern Cape, and how many had been approved. Secondly, he mentioned a coal mine in Indwe in the Eastern Cape, and he wanted to know whether it was still operating and who was running it. The Acting Chairperson asked for a general update on developments around shale gas exploration that addressed the regulations, permits, processes, consultation, public participation, consultation with stakeholders, protected areas, and other issues. Ms B Masango (DA, Gauteng) asked for further clarification on section 48 of the NEMPA and the two types of protected areas, and she wanted to know if there was an example where the Minister had given written permission for mining in a protected area. She also wanted to ask both Departments whether there were approved mining operations in Mpumalanga, pointing out that there were instances where mining had been done in contravention of the legislation and regulations, and mining operations had been investigated. She wanted the Department of Mineral Resources to give a detailed account of the number of mining and prospecting licence applications in the Mpumalanga coal fields. Ms Labuschagne asked the Department to give some detail about the rehabilitation that was prescribed by the Department where exploration or fracking had taken place, and what it entailed. The Acting Chairperson asked for an update on the One Environment system's process for applications for mining permits. Mr Gaehler said that an important and controversial question related to the high numbers of ex-mineworkers affected by illnesses, especially in the former homeland areas, whose needs were not being met, and asked what the DMR was doing to assist them. The Acting Chairperson pointed out that the Departments could provide written answers to questions that could not be answered immediately. Mr Raphela thanked the Committee for its input, guidance and questions. He started by addressing Mr Singh's question about the comments and objections received by the Department and gave, as examples, instances where there were landowners with competing land use claims, instances where there were no clearly spelled out benefits for communities and where the quality of consultations with interested and affected parties was less than desirable. He preferred not to deal with the Committee's questions on shale gas immediately and said that the Department would make a detailed presentation on that at a later stage. Answering Ms Prins' query as to the reasons why applications were rejected, he clarified that the law did not allow the granting of a right on an existing/issued right, or in cases where the application was made in a protected area, or where the minimum requirements for a complete application had not been met. The rejections were not limited to applications from small scale miners. The Department of Mineral Resources had a programe in place to assist small scale miners. There were over 2 000 applications for mining permits across the country, and this was a clear indication of the extent of assistance given to small scale miners. However, compliance with the law was non-negotiable and they were subjected to the same requirements as any other applicant. He indicated that the DMR would address the questions regarding the Mineral Resource Inspectors in its detailed report. The questions from Ms Labuschagne on the One Environment system would also be addressed by the detailed report. In answer to Mr Gaehler's question, he said that the Inwe mine in the Eastern Cape was not operating currently, that there were internal challenges which had been taken to the Courts and that the Department hoped that the company would find a solution to those problems. The Department agreed that there was a need for job creation, but that this would need to be done in a responsible manner. Mr Gaehler's question on health of ex-mine workers would also be answered in the Department's detailed report but he said that in the short term, the problem was being tackled through the creation of one-stop shops to provide ex-mine workers with the necessary assistance, including addressing compensation. There was one site in Mthatha and others were being rolled out across the country. 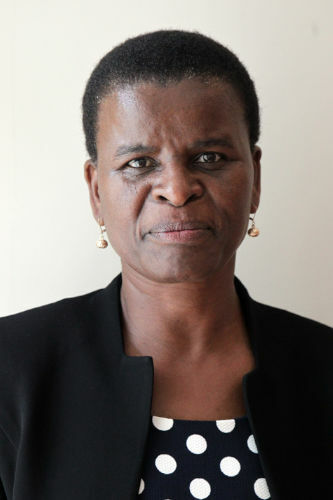 In response to Ms Masango's query on mines flouting laws, Mr Raphela confirmed that there were five such cases currently and that those investigations were being undertaken by the Department of Mineral Resources in conjunction with the Department of Environmental Affairs and the Department of Water and Sanitation. He indicated that the data on the Mpumalanga coal fields would be supplied. Mr Raphela returned again to the One Environment system, and stated that this was considered an excellent model of different departments working together in the national interest. Currently, in anticipation of the system, the Department of Mineral Resources had increased the number of environmental practitioners from 69 to 104 and they had undergone training in various aspects including the Waste Management Act. There were 30 personnel currently undergoing Mineral Resource Inspector training at the University of Pretoria. Funding had been made available to aid the Department in the implementation of this crucial programme. The courses would be completed in January 2016. Mr Raphela reassured the Committee that the departments would continue to work together, and the DMR was ready to implement the new system from 8 December. The Acting Chairperson asked the Department to update the Committee on shale gas exploration issues now, since this was the last meeting of the year. Mr Raphela said that the One Environment system for mining would also be applicable to shale gas explorations. Different systems would not apply to different kinds of exploration. With regard to permit progress, he said that the Department was still on track to have consultations with the relevant communities in December 2014 and January 2015. Some applications had been lodged prior to the moratorium, and in line with the requirements of the MPRDA, these applicants would need to update their documents. The Departments of Environmental Affairs and Water and Sanitation were involved in this process as well. Care had been taken to ensure that the necessary coordination would take place. The Acting Chairperson referred to a concern that had been raised on October about the period that the Department had identified for public consultations, namely December and January, and pointed out that these were holiday periods, which raised a concern that the public hearings would not be well attended and people would thus not have an opportunity to express their concerns. The Department did not appear to have taken this factor into consideration. The Committee was still concerned about the impression created that the Department had "rushed through" the process and said that it had consulted, although there were not enough people at these public meetings. This was a point raised at the previous Committee meetings. Ms Mancotywa responded to questions asked of the Department of Environmental Affairs. In regard to questions about the grasslands, she said that they were indeed the least protected biome, and as a result, the Department was looking at three priority areas where grassland areas could be expanded to be included in protected areas. A grassland nature reserve was contemplated in the Eastern Cape province. The areas currently not covered were the freshwater priority areas. The Department would review its national strategy for protected areas to make sure that wetland resources were adequately protected. It had been pointed out that environment and development issues seemed to be fighting for the same space, and this was true, since wherever there were rich mineral deposits, there would also be biodiversity of national and global importance. This meant that it was critical to strike a delicate balance, because conservation and development were two sides of the same coin. The DEA had looked at a mitigation hierarchy to avoid impact wherever possible, and where impacts could not be avoided, then to minimise the impact, to rehabilitate affected areas and to implement biodiversity offset as a last resort. The Departments of Environmental Affairs and of Mineral Resources were looking at processes for categorising areas where mining was prohibited. The mitigation hierarchy was used to determine these areas and ensure that effective implementation of environmental management plans were implemented. She cited a few examples of areas where the two departments had worked together previously, and said that the Mapungubwe case was a prime example. The Acting Chairperson asked how, in cases where a permit had been withdrawn or refused for specific areas, the Department ensured that there would be no illegal mining in those areas. Mr Ishaam Abader, Deputy Director General: Legal Authorisation, Department of Environmental Affairs, said that from an environmental perspective, if there were listed activities taking place in those areas, the Department would be able to take action to prevent such listed activities, in various ways. Firstly, it could start with administrative action, by way of compliance notices. If there was no successful response a criminal prosecution could be instituted. The Department of Mineral Resources would also be able to take action in response to illegal mining. Mr Raphela said that whereas job creation was important, respect for law and order in the country must also be built, and the DMR took the stance that whenever illegal mining was identified, it must be addressed in terms of the applicable legislation. There was a clear distinction between being a lawful rights-holder and not being one, and there were no uncertainties in that regard. There had been joint enforcement activities in Limpopo and other places. Unless the departments acted in concert, this would lead to compromised bio-diversity and protected areas. Ms Nosipho Ngcaba, Director General, Department of Environmental Affairs, said that, particularly at the Wild Coast, there were initiatives that looked at how best to empower the communities through eco-tourism activities. Although certain of the planned National Parks at the Wild Coast had not been successfully established, the province had taken over the programme to establish a conservation area there, and here were investments in closer areas to upgrade the infrastructure, which would grow the local economy. The key question was whether or not the Department was making progress. Ms Labuschagne noted that the One Environment system would be implemented under the Mineral and Petroleum Resources Development Amendment Act, but pointed out that it had not yet been approved and asked how that would affect the whole system. She said that this Act was necessary to fill the gaps and to allow the system to work as a whole. She asked both of the departments to tell the Committee about the risks anticipated in view of that Act not having been promulgated, and asked how the departments were going to overcome these problems. Mr Raphela said that the Department of Mineral Resources was cognisant of the concerns raised by Ms Labuschagne relating to the status of the MPRDA. He reiterated that DMR was ready to implement the system and was continuing with the implementation plans for 8 December. Ms Labuschagne said that her question actually specifically related to the risks in the future, such as loopholes that could create even more damage than there was at the moment. She wanted the Department to be frank on the risks. Mr Wills said that DEA was also moving forward on the basis of an 8 December deadline for the One Environment system. However, the fact was that the President had yet to assent to the MPRDA Amendment Bill, although the NEMA amendments and the Waste Act and Water Act amendments had already been assented to. All the required regulations (subsidiary legislation) were being prepared. The EIA regulations, for example, had been through the public comment process, and were in the final stage of being adopted. It had been quite rightly indicated that the provisions of the MPRDA, as they related to the One Environment system, were important to repeal existing environmental management provisions, to prevent confusion. Both departments had taken a legal opinion from the State Law Advisor, whose was of the opinion that, in terms of section 11 of the Interpretation Act, the existing legal framework would continue to stand until the new framework - in its entirety - was in place. Therefore, should the President not assent to the MPRDA amendments by 8 December, the existing system under the MPRDA would continue to be applied until the new provisions were assented to. The Acting Chairperson asked whether the current legal framework would have a negative impact. Mr Abader said that certain amendments were required for the One Environment system to work, so if the amendments were not assented to, this would mean that the One Environment system could not be implemented fully. Ms Labuschagne said that this was the crux of the matter. The Committee needed to know what part of the One Environment system would be implemented, and what would not. Ms Ngcaba said that the MPRDA had provided for an 18 month period for preparation for the whole system. The Department of Mineral Resources would, within that period, establish its own capacity to deal with EIAs in terms of environmental legislation. The MPRDA also allowed for the appeal authority of the Minister of Environmental Affairs. She said that at a certain point, there would be a wholesale transfer of the functions. The waste licences would not be issued in terms of the current legislation, so existing stock piles in mining areas would be managed in terms of the old system. She said that the Department had to be honest and admit that it was not 100% ready to implement the new system, and, for example, the draft regulations had not yet been published for public comment. However, there was progress. Ms Lize McCourt, t Chief Operating Officer, Department of Environmental Affairs, said that the process for making regulations for implementation of the Spatial Planning and Land Use Management Act (SPLUMA) was ongoing. The two departments were only dealing with three aspects relating to land use patterns. The case of Chrissiesmeer (Mpumalanga) was an important example since Chrissiesmeer was a priority resource area and an important freshwater resource, as well as having high potential agricultural land. None of these competing priorities was higher than another. In section 9 of SPLUMA, a mechanism for a trade-off of norms and standards had thus been provided. The Chairperson asked the Department to expand on this particular issue in its written responses. Ms Judy Beaumont, Deputy Director General: Climate Change and Air Quality, Department of Environmental Affairs, started with an introductory presentation giving the background of the amendment to the Kyoto Protocol, which began with negotiations in Durban in 2011. The United Nations Framework Convention dealt with climate change by recognising that it was a global challenge. It also recognised that countries had contributed differently to the global climate change challenge, and that different countries had unique circumstances and capabilities to contribute to the global solution. The Protocol outlined common obligations of all countries and added specific obligations for developed countries with a greater historical responsibility. The Kyoto Protocol came into force in 2005 and created binding obligations on industrialised, developed countries. They had to reduce greenhouse gases during the first commitment period, which was from 2008 to 2012. She explained that this meant that a decision had to be taken as to whether to go forward with a second period or to take another option. The Durban COP17 Conference took place in 2011, and here it was agreed that a second commitment period should be taken up. It had been agreed that from 2013 to 2020, the obligations on developed countries would continue to be in force. There was also an agreement to negotiate a future legal system beyond 2020, and that aspect was currently ongoing. The South African delegation would be going to the COP20 Conference in Lima on 28 November 2014 and the COP21 Conference in Paris. It was sometimes asked why the Kyoto Protocol Amendment needed to be ratified by South Africa, as a developing country. Ms Beaumont explained that South Africa, as a developing country, had a direct interest in a robust and rule-based regime to address the global climate change challenge. The Kyoto Protocol governed the entering into force of any amendments to it, including the ratification of amendments by a certain number of countries. She emphasised that it put no legal obligations on developing countries, but that it confirmed the obligations of developed countries. However, the 2015 legal agreement would be applicable to both developed and developing countries. Another issue that would be crucial in terms of the new agreement was negotiating all of its elements, including adaptation, mitigation, technology, and financing. A very key issue for COP20 would be the decision on Nationally Determined Contributions, which were effectively what countries were pledging to contribute to the global process of responding to climate change. A third issue was giving effect to common but differentiated responsibility. For South Africa, it was important that the agreement had to be fair and effective. There was also a need for capacity-building support for developing countries. In Africa, there were already extreme events and temperature increases, and it was therefore crucial that the new agreement should locate adaptation equally between countries. Ms Labuschagne asked for feedback, after COP20, regarding whether or not South Africa's expectations had been met. She asked for further expansion on the implications for South Africa of the adoption of the amendment. The Acting Chairperson said that, in terms of process, the Committee now needed to agree to recommend the ratification of the amendments to the Kyoto Protocol, and then take the process to the National Council of Provinces. The Committee agreed to accept the amendments and recommend ratification to the NCOP. The Acting Chairperson reminded Members that the Committee had undertaken an oversight visit to the Council of Geosciences (CGS), the Agricultural Research Council (ARC), Onderstepoort Biological Products (OBP), and other public enterprise entities, including Denel and Transnet. The Secretariat had consolidated a report of the visits, and this had been sent to all Members. They were now requested to adopt it, including the recommendations made following these visits. Ms Masango congratulated the Secetariat on the consolidation of the Report. The Members adopted the minutes of the meeting on 18 November 2014. The Acting Chairperson mentioned some concerns that the Committee was simply rubber-stamping certain issues, but said that the presence of the media and other interested parties at its meetings showed that the issues before it were of public interest. He urged that the Committee should not rush through issues, but should express concerns wherever necessary, so that it dould not be accused of being "a conveyor belt" for the decisions of the executive, even if this entailed the delay of some processes. He stressed that the Committee should also hear the views of stakeholders and communities, not only government departments, and that it should conduct more oversight visits. The Acting Chairperson noted that one of the Committee's priorities was the issue of fracking. He suggested that the Committee's programmes for future years should be compiled earlier in the year. He thanked all Members for their input this year. He expressed the willingness of all Members to be contacted, by telephone or e-mail, on any issues causing concern to visitors at the meetings.